If you want to make a lasting first impression with your callers, then a telephone on hold messaging system is the ideal marketing tool for your phone lines. As a professional audio production company, we have access to a very talented team of audio production specialists, including copywriters, voice artists and audio engineers - who will work with you to develop an entertaining and informative message on hold program that is sure to entertain and impress your callers. It's a FACT! Telephone messages on hold is recognised by industry experts as being an effective marketing solution, and research has shown, businesses playing a professionally scripted, voiced and produced audio production to their callers, are less likely to have callers hang-up, and are more likely to see an increase in inquiry and sales conversion. Telephone On Hold Messages and On Hold Music have proven to be a formidable internal marketing solution. Used to strategically market your secondary products and services, production promotions, industry nights and company information to callers while they way on hold. 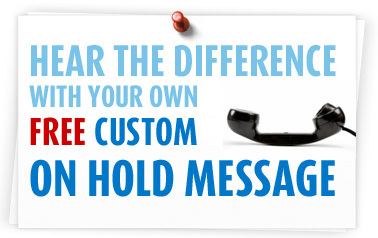 Find out what on hold message production can do for your business, talk with Media Messages today and get your very own custom on hold message demonstration free. Message 1: Metec Driver Training is your not-for-profit community organization providing training and education programs designed to improve road user skills and driver behavior, as well as enhancing road safety and promoting responsible driving. Message 2: Metec is a VIC roads approved “Learner Permit” Testing centre, located at 112 Colchester Road, Bayswater North. Metec provides the ideal learner’s training facility- our centre is built on 10 hectares of land, with 5km of closed roads featuring all the typical traffic features including intersections, traffic lights and� roundabouts, but without the traffic. Message 3: Why not make safe driving a part of your school’s Curriculum? Metec offers a complete range of practical driving and education courses for students with or without Learner permits. Courses are tailored to suit school requirements, but are ideally suited to years 10, 11 and 12. Find out more about our other student driver programs in just a moment. On hold messages are really informative, and your customers will no longer feel irritated by your silence, radio or chimes. Media Messages can even create your very own personalised demo. If you love it our talented team of creative writers and audio engineers can then create your very own polished, informative and entertaining on hold messages to suit your individual business today.